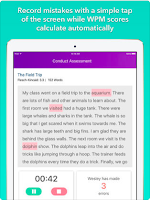 ThinkFluency is an innovative new iOS app that lets teachers assess a student's Reading fluency in real-time. All a educator has to do after creating a account, is add students/classes, select a Reading passage or create your own, and then begin the assessment. 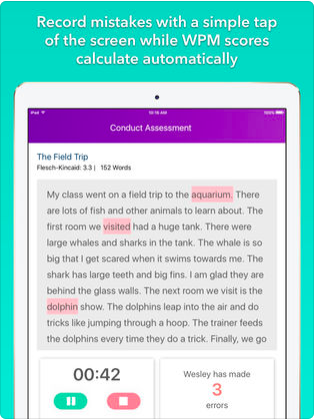 ThinkFluency makes it super easy for the teacher to track errors by tapping a button on the screen while the student is reading. Once this is done ThinkFluency will generate a detailed report and develop a individualized instruction that can be shared w/ others. This is a great app that saves teachers time as well as helping them differentiate instruction. I highly recommend checking out ThinkFluency by clicking here!! !